This week is proof that some of the biggest events can come in the smallest packages. Whether it’s a museum or a movie for the little ones, the personal connection of music performed just feet away or the beauty seen in small pieces of art, we have an event that’s just the right size for you. 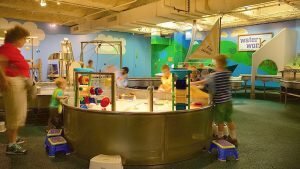 It was nearly two years ago that the Cincinnati Museum Center closed for a much-needed rehabilitation. Funded largely by a five-year, 0.25-percent sales tax increase in Hamilton County, the $212 million project isn’t slated to wrap up until November, but the first big piece of the art deco puzzle is about to fall into place – for the littlest patrons. Its first special program, Building Big Ideas, happens 11 a.m.-5 p.m. on Sunday, May 6. Apropos for the reopening of an architectural marvel, it celebrates 2018 as the Year of Engineering. Kids can meet engineers who made their hobbies, especially designing and building things, into careers. The kids can try out their ideas, too, in the KidSpace. Like St. Patrick’s Day for the Irish, Cinco de Mayo is a bigger deal in the U.S. than it is in its homeland – even in Cincinnati. 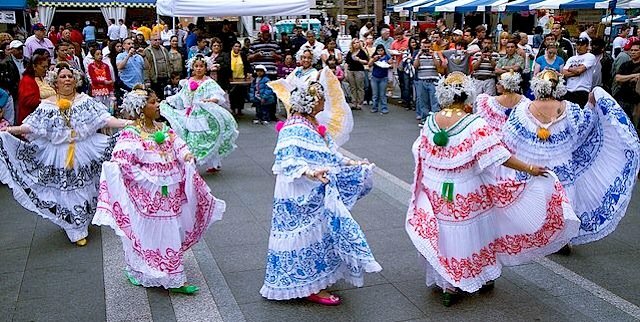 Cincy-Cinco is simultaneously a weekend-long celebration of Latin American culture (featuring food, music and family activities) and the first in the city’s parade of outdoor summer(y) festivals. It’s been a long and cold winter and spring, so why not take the opportunity to get outdoors and enjoy yourself? It’s the latest in The Mini’s series of shorts for children. The young and young at heart will enjoy a 30-minute program of animated films from around the world. All are either in English or without dialogue. Moviegoers can also enjoy free bagels from Lil’s Bagels and free coffee from Iris BookCafe. Do you know Cincinnati’s poet laureate? Did you know Cincinnati has a poet laureate? Well, it does. His name is Manuel Iris, and he’s starting a two-year tenure. You can meet him at the 6 p.m. reception, then hear some of his work read aloud. On hand to honor the new kid on the block will be city officials and Iris’s poet predecessor, Pauletta Hansel. Two of Cincinnati’s more recently founded musical organizations are dedicated to making a big deal of the small. It’s a back-to-the-future mission to return music to one of its traditionally most common settings: the home. First up is Salon 21’s partnership with Art of the Piano, brainchild of CCM piano professor Awadagin Pratt. 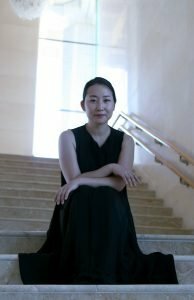 In advance of Art of the Piano’s 2018 festival (May 26-June 16), Salon 21 presents one of the festival’s two 2017 Enlight Prize winners, Mi-Eun Kim. The setting, the Aronoff Center’s Weston Art Gallery, will add some visual inspiration to the keyboard’s sonic art. On Sunday, Martha Guth and Erika Switzer join forces under the auspices of the Cincinnati Song Initiative for a recital at Armstrong Chapel United Methodist Church in Indian Hill. Centerpiece of the program is “Execution Songs” by the Canadian composer Andrew Staniland, but composers from Schubert to Messiaen are represented, including a hearty helping of U.S. art songs. Tickets are available through the organizations’ respective websites above. One can argue that Music Hall, the Old Version, wasn’t “that much” too big for Romantic-era orchestral masterworks, but it was certainly too big for a Baroque-sized ensemble. Put simply, this weekend’s CSO program would never have happened before the overhaul. It’s a look at the stage music of two giants of the late 17th and early 18th centuries, George Frideric Handel and Jean-Philippe Rameau. Baroque specialist Harry Bicket conducts; soloist is countertenor Iestyn Davies. Program repeats at 2 p.m. on Sunday. It only goes to follow that, after last week’s closings, openings would follow. It’s a week of openings for the area’s visual artists, too.